Is this real life? Is this happening? Somebody pinch me! 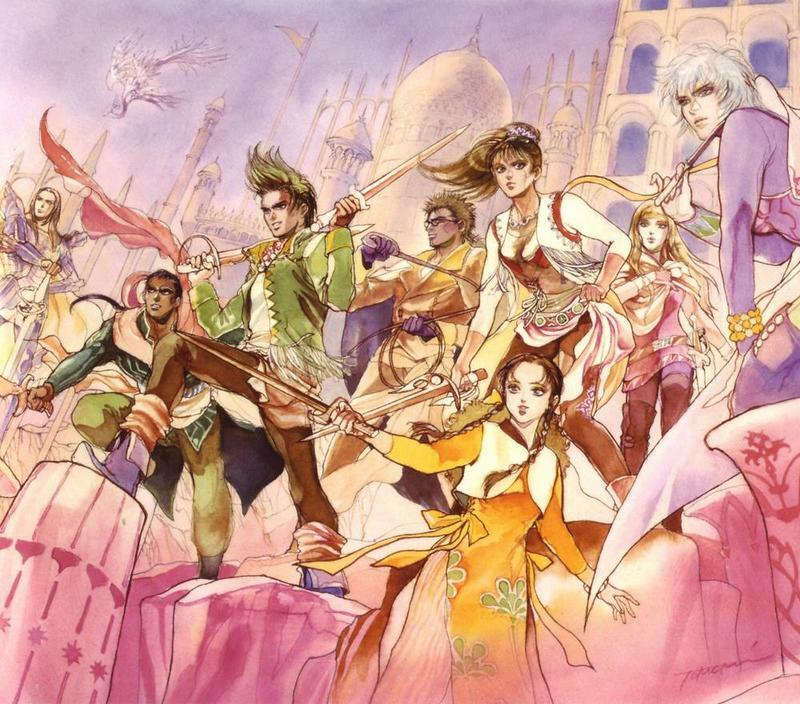 Square Enix designer Akitoshi Kawazu, producer of the SaGa series, has just made a promise to release Romancing SaGa 3 in the Western world. The title, along with both of its predecessors, is one of many games that Square Enix never got around to localizing back in the Super Nintendo days. Square Enix recently confirmed it was working on a remaster for smartphones and the PS Vita, and this statement from Kawazu states that he is dedicated to a localization. This isn't the first promise that Kawazu has made in regards to these two games. He fulfilled a promised to make Romancing SaGa 2 available in English by putting it on smartphones, but so far, he's come up short on the PS Vita port that he also promised. The last we heard was that it was delayed beyond its December 2016 release window. My guess is that we'll be getting a mobile version in North America and that Square Enix will cram both Romancing SaGa 2 and 3 together in a Vita bundle. And then, just maybe, we'll get SaGa Frontier on PlayStation Network as well! And the latest game, SaGa Scarlet Grace! Will Square Enix start to acknowledge the series' English fanbase? Super Famicom games for everyone! Romancing Saga 2 and Romancing SaGa 3 aren't the only ports of Super Famicom classics that never made it to the States. Square Enix also confirmed that it was working on a Seiken Densetsu Collection for the Nintendo Switch, which has Seiken Densetsu 3 inside of it. That, too, has, has never been translated into English. Is Square Enix finally giving these games a proper chance to legitimately shine on modern Western consoles? Or indeed… any Western consoles?! It would be a nice gesture that erased years of neglect, that's for sure. I've covered this laundry list of "lost" games before, and indeed, they would be marvelous additions to my Vita and Switch collection. Live a Live, Bahamut Lagoon, and even Terranigma, which is already available in English… in Europe. Come on, Square Enix. Make us proud. Let's see it all happen.